CHATHAM HOUSE, LONDON (THIS DAY) -- The President General of Ohanaeze Ndigbo, Chief Nnia Nwodo, has maintained that restructuring of Nigeria is the answer to the wave of agitations currently hitting across Nigeria. Nwodo who delivered a lecture at the Royal Institute of International Affairs, Chatham House in London wednesday, said the country is ripe for restructuring now more than before because all indicators point to that fact. In his paper titled: ‘Restructuring Nigeria: Decentralisation for National Cohesion’, Nwodo took a historical look at Nigeria’s political journey and concluded that the present structure in operation has failed because it’s not created by the Nigeria people. “Our present constitution is not autochthonous. It was not written by the people of Nigeria. It was not approved in a national referendum. In jurisprudence, its effectiveness will score a very low grade on account of its unacceptability. Regrettably, it continues to hold sway and begins with a false proclamation, ‘We the People of Nigeria’,” he said. While answering questions from the Chairman of the occasion and the Editor of African Business Magazine, Mr. Lanre Akinola, on the imperatives of the restructuring now, Nwodo said never in the history of Nigeria has there been harmony to reshape the country as it is now. In his speech, Nwodo said the entire southern Nigeria and parts of the middle belt are unanimous for the restructuring of the country. He also said the disenchantment in the country over the existing structure is such that it would be gloomy if the desires of majority of the people are not met or continue to be deliberately ignored. The Ohanaeze leader berated the federal government for declaring the Indigenous Peoples of Biafra (IPOB) as a terrorist organisation when their activities do not merit them such status, adding that the same government overlooked the activities of more dangerous armed militant groups like Fulani herdsmen whom they merely branded criminals. “The declaration of IPOB as a terrorist organisation is in my view, hurried, unfair and not in conformity with the intendment of the law. Whereas I am not completely in agreement with some of the methods of IPOB-its inappropriate and divisive broadcast-the uncontested evidence given by the Attorney General of the Federation in an interlocutory action claiming that IPOB members attempted and/or actually snatched guns from law enforcement agents are, if proven, merely criminal offences. They do not constitute enough evidence to meet international law definitions of a terrorist organisation. Happily, the United States Embassy in Nigeria only three days ago shared this conclusion and asserted that the US government does not recognise IPOB as a terrorist organisation. “This same unarmed IPOB that is being stigmatised by the Nigerian Government had its members murdered in Asaba, Nkpor, Aba and Port Harcourt simply for having public demonstrations without the federal government ordering a judicial inquiry. Instead, after I called for one and Amnesty International provided evidence that 150 of them were killed, the Chief of Army Staff Yusuf Burutai, set up an inquiry composed of serving and retired army officers thus abandoning the rules of natural justice which prescribes that you cannot be a judge in your own court,” he stated. He noted that the restructuring of Nigeria into smaller and independent federation limits and the devolution of powers to these federating units to control exclusively their human capital development, mineral resources, agriculture and power (albeit with an obligation to contribute to the federal government), is the only way to salvage Nigerian fledging economy. 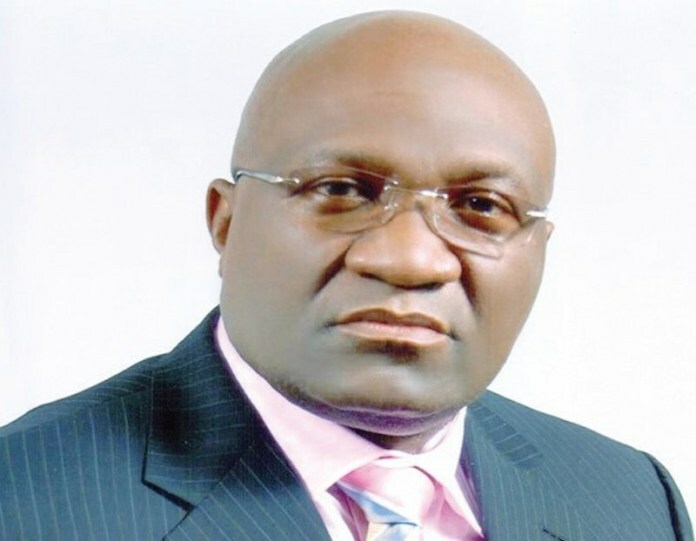 Nwodo expressed regret that those campaigning against restructuring in Nigeria have painted an unfortunate and untrue picture that those of us in support of restructuring are doing so in order to deny the Northern states which have not yet proven any oil reserves of the ability to survive. “This is unfortunate! The new model we propose for Nigeria recognises that revenue in the world today is promoted by two main sources namely, human capital development leveraging on technology to drive the critical sectors of the economy and agriculture. “Ten years ago, the top 10 companies in the world were the likes of Exxon Mobil, Shell and Total. Today the top eight companies in the world are represented by technology-related companies. They are Apple, Microsoft, Google, Facebook, and Amazon,” the Igbo leader said. On the deployment of federal troops to the region, Nwodo said: “Our endurance has been stretched beyond Hooke’s gauge for elastic limit. The deployment of the Nigerian army under the guise of Operation Python Dance II to the South-east was unconstitutional under Section 271 of the 1999 Constitution,” noting that it was intended to provoke the people. Nwodo charged President Muhammadu Buhari to rise up to the challenge and lead the process of restructuring this country. The discourse at Chatham house was witnessed by a cross section of Nigerians resident in UK as well as the Obi of Onitsha, Igwe Achebe.